Shaun Escayg Creative Director at developer Naughty Dog has taken to the official PlayStation blog this week to reveal more details about the Uncharted: The Lost Legacy showcased at this week’s E3 2017. 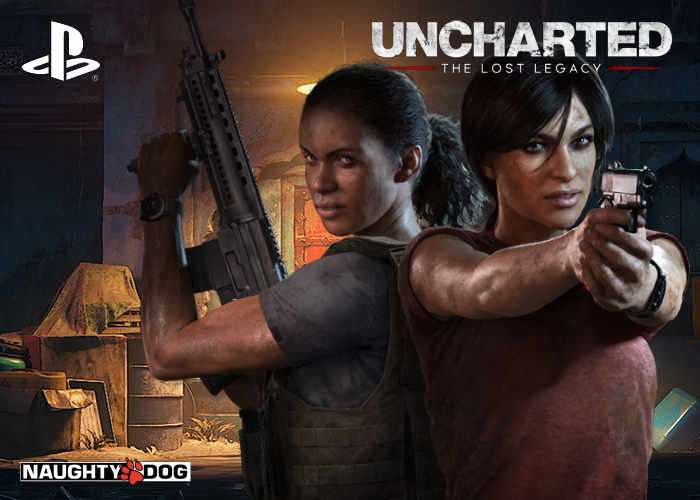 The Uncharted: The Lost Legacy We’ll be launching on August 22nd and provides a stand-alone Uncharted adventure starring Chloe Frazer, which will be available exclusively for the PlayStation 4. Check out the Uncharted: The Lost Legacy E3 2017 trailer below to learn more about what you can expect from the storyline and content. Uncharted: The Lost Legacy follows treasure hunter Chloe Frazer on her journey to recover an ancient Indian artifact. In order to track it down – and keep it out of the hands of a ruthless war profiteer – she must enlist the help of former paramilitary leader turned gun-for-hire Nadine Ross. Together, Chloe and Nadine venture deep into the mountains of India’s Western Ghats to find the ruins of the Hoysala Empire and recover the legendary Tusk of Ganesh. Along the way, they’ll learn to work together and leverage their unique skills to unearth the mystery of the Tusk.